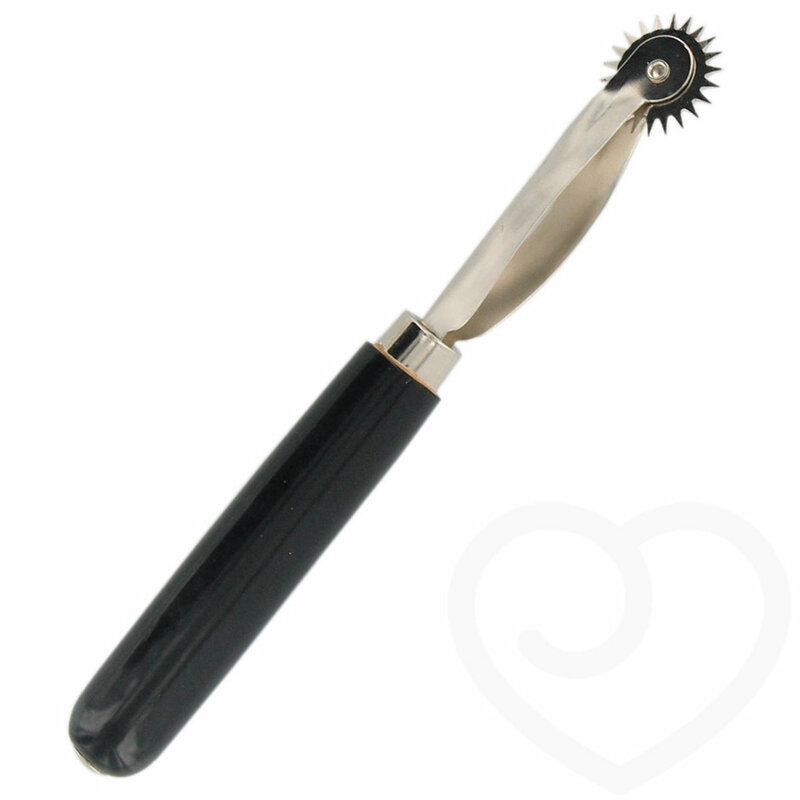 Precision made steel pin wheel with over 20 tiny spikes designed to tease and excite. Solid 4-inch handle. The wheel itself is just over half an inch in diameter.